If you’re a small business, do you need a business intelligence solution (BI)? The hype you read about big data, Internet-of-Things and artificial intelligence all seem to point that a business without a BI tool is bound to lose. True, maybe, but not in a black-and-white sense. Business intelligence is only as useful as the value you put into it. If you prefer street-smart antics running your two-branch business, having the coolest BI software like Sisense won’t do much. More likely, you’ll be quick to ignore the insights generated by this tool when it contradicts your own intuition. And it will. That is the power of big data, it hides a treasure trove of insights that no human brain can process without aid. In this case, the BI tool becomes a burden, both in cost and strategic use, even as you continue to grow the business using your sixth sense culled from experience. In the same breath, your business’s future is compromised when you stick to what’s working in the present. A competitor that learns to leverage BI to its sales will have an edge. But that’s the catch–how to learn to optimize business intelligence if you’re a small business. Learning BI isn’t just about how to use an advanced system like Sisense; it’s fully grasping the importance of why you need a Sisense in the first place. We can start with the basics: what is business intelligence, really? Business intelligence is the actionable insight you get from consolidating huge volumes of data pulled from different sources. This insight allows you to make a more informed decision or validate a key strategic point. BI also commonly refers to the software products that have proliferated of late featuring advanced analytics and visualization tools. These solutions offer tools like data warehousing, data visualization, OLAP, self-serve reporting and report scheduling. Back to this question, generally the answer is yes. Even if you don’t have big data yet like a startup, you’ll soon accumulate tons of information. If you’re not data banking, something is fundamentally wrong with the business. Why? That means you’re not optimizing other key business processes like CRM, salesforce automation, help desk and inventory management. All these generate plenty of data every day that a startup will quickly rack up data in a few months. So, on the average, small businesses will have big data to feed into the BI system. You can also read about the importance of BI in startups in our separate article. BI solutions used to be capital intensive, but cloud computing has since levelled the playing field for small businesses. Cloud BI like Sisense offers affordable price plans that fit a small business budget. More importantly, cloud solutions like Sisense offer a scalable option for fast-growing startups. A small business is never limited with what it is using now, as it can add more features and capabilities to match its growing needs. 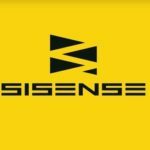 Sisense, in fact, has a huge customer base of boutique marketing agencies, startups small companies and nonprofits. No longer the realm of large enterprises, BI is useful to small businesses in many ways. It can be for strategic decision or day-to-day operational efficiency. Maximize your limited budget. BI helps small businesses make the most of their limited budget. For a few more investment in the BI tool, you can see your priorities clearly. It can be deciding which product line to invest in more or how much to focus on sales and how much on marketing. Because it’s data-driven, BI is the perfect deal breaker for a Mancom impasse, when each often department tries to corner the bigger budget slice. Likewise, BI is a good wake-up call when you’re too awashed by your own unfounded confidence in a strategy. Yes, it can be an ego-buster that prioritizes the company welfare above all. Organizational efficiency. How many sales reps do you really need to max out a territory? And when will its leads max out? How big should your trucking fleet be anticipating volume orders or its reverse? How big should your waiting team expand to accommodate your restaurant’s growing clientele? These are just a few small business questions that a BI tool can answer. You use insights to drive efficiency and the result, while not to the tee, is the most accurate outcome you can forecast. Budget transparency. The Profit-Loss spreadsheet only gives you an idea whether you’re earning or not. But, often, it isn’t exact. How much cash does the business really have? Is it earning or losing revenues and how fast or slow? You can also run BI on different aspects of the operations to see where savings can be made. For example, having the insight how much monthly order volume you need to make outsourcing fulfillment profitable can save operational cost. Research. Different internal aspects of your business require in-depth answers to critical questions. For example, how to pull together a value chain for your product team; or which departments can be trimmed down without compromising operations.A good BI tool like Sisense can quickly run the numbers, sourcing data from your different systems like ERP, accounting and payroll and instantly deliver the insights. Market insights. Your market is always shifting and it’s important you anticipate these changes to adapt to them. Small online businesses are especially vulnerable to disruptions and will need a reliable BI tool more than traditionally run physical shops. A BI tool empowers you to make an educated forecast of your market, instead of being reactive and passively waiting for a crisis to happen. If you’re dependent on trends, you’ll find data analytics not just useful, but critical to your survival. Customer service. With data-driven insights you can provide the service or product that your customers are looking for. You can also “feel” customer behavior and use it to leverage your campaigns and brand messaging. Are you gaining more positive sentiments or are your brand mentions getting more negative by the day? Who are following you and why? Using historical and real-time data sources, you get a whole picture of your customer’s needs. What Is The Use Of BI?